The thing about quagga mussels is once you get them, you can’t un-get them. The little mollusks spread like a rash in any water body they come into contact with, ruining recreational equipment, clogging pipelines, and generally wreaking havoc on the ecosystem. That’s why San Luis Obispo County agencies have devoted a combined $348,419 to keep mussels out of local waters and why county officials are asking California to declare a state of emergency. UNWANTED GUESTS : There’s no known way to get rid of quagga mussels, a subspecies of non-native zebra mussels, once they infest an ecosystem. SLO County supervisors really want to keep them out of local waters. 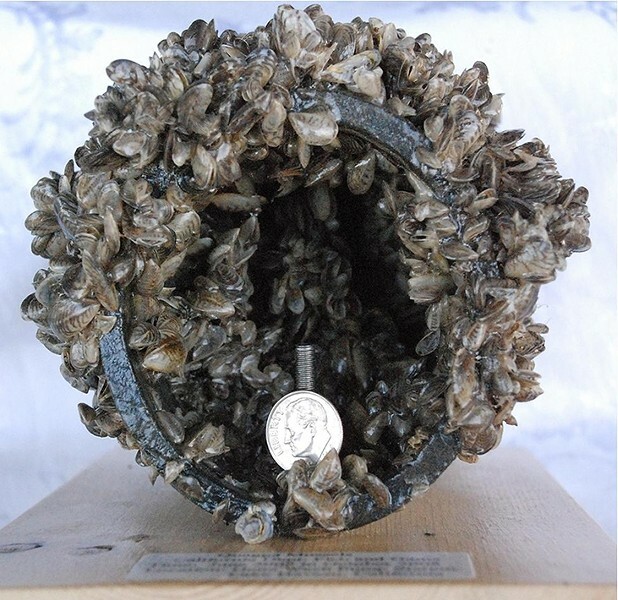 Quagga mussels are a subspecies of non-native zebra mussels and deemed an invasive aquatic species. SLO County has recently worked with Monterey County to prevent the mussels from turning up in Lake Nacimiento, now a lifeblood water source for much of the county due to the Nacimiento Water Project pipeline. The Nacimiento Water Project Operating Fund has contributed $278,419 toward prevention efforts in the lake, and another $70,000 has come out of the Parks Fund for prevention efforts at Lopez Lake and Santa Margarita Lake, according to a county staff report. On Nov. 22, SLO County supervisors took another step and unanimously approved a resolution urging California to declare a state of emergency. In making that request, SLO County joined at least eight other municipalities seeking the same declaration, as well as others like Monterey County that will likely pass similar resolutions, according to Public Works Staff Engineer Carolyn Berg. Quagga mussels have already infested 25 water bodies in California, according to the staff report. The San Justo Reservoir in San Benito County—located about 150 miles north of the city of SLO—is the nearest infested water body. Though there’s currently no way to completely remove mussels from an infested water body, a state of emergency would free up money and other resources that would allow counties throughout the state to beef up prevention efforts. Such a move might also draw more attention to the problem. “It’s an issue larger than just one county can handle by themselves,” Berg said.